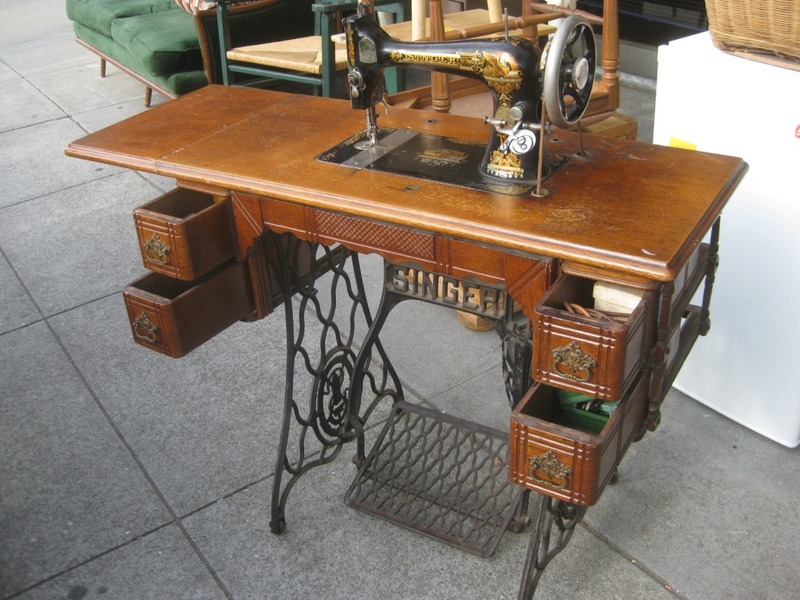 True to my promise, I am writing this week about the use of wood bleach on my Singer sewing machine project. The four pieces that constitute the top of that case have quite a bit of damage caused by water having been spilled on then. I have repaired the damage done to the veneer. That required regluing and clamping veneer edges that had lifted. I suspect from what I have seen that the original makers probably used hide glue to assemble the casework. I can see indications on the insides of the cases that this was the glue of choice. It worked well. But, 100 years later, there were a few places that were obviously overwhelmed by the amount of water on the veneer. That caused veneer joints to curl up and separate from the substrate. Why are we here, you ask? Why are we discussing the bleaching of wood? Well, I have been involved with a number of projects with my more demanding clients who want to build with certain, builder-specified woods. These projects, when they come to me for color development, when stained, will not look close enough to the designer’s control sample to satisfy the designer. When architects and designers are involved with the process, there are often demands placed on the project that are very difficult to accomplish.As those of you who know what I mean, until the architect, designer, and/or client are happy…nobody is happy. For example, the designer will submit a control sample on a dissimilar species of wood and want that exact color reproduced on the wood of the builder’s choice for the project at hand. Little or no thought is given to the fact that there may be color issues resulting from this decision. Mine is not to reason why. Mine is just to accomplish what is necessary. Such is the life of those involved in commercial casework projects. Life is not always easy! There have to be others of you out there who have experienced these situations. My job is to give you the tools that you need to accomplish difficult things as easily as possible. In order to achieve the correct background color that a particular wood brings to the finishing schedule, it may be necessary to remove/alter the natural color of the wood by bleaching it. That having been said, a lighter background will also be the result of bleaching. In my little project, that will happen when I bleach these four pieces. When I get the bleaching stage of this restoration done, it may be necessary to fog on some dye to return the wood’s natural color removed by the bleach. In the end, the top pieces will still need to match the rest of the case. But with my project, my reasons for bleaching are quite different. In this case, I’m trying to remove water damage, a common problem with antique restorations. Bleaching is indiscriminate and only, to a small extent, is it surgical. Like dripping Clorox on your red shirt, the damage will be a loss of color at those points. If I only surgically remove the water stains, bleach spots will be the result. I will need to follow that surgical application with my best job of blending all the color together. A second coat of bleach will have to be applied all over the surface to help create that blended color. And then, what happens…happens. The good news will be the reduction or removal of the stains that we don’t want. The bad news will be that the whole surface will be lightened as compared to areas that are not bleached. Back to what I was saying about how I have dealt with architects, designers, and my clients, I have, for example, bleached white oak to reduce its natural green color, for example, or I have bleached it tolighten the dark color of certain heartwood boards so that the whole project comes together and the veneer matches the solid stock. On the sewing machine cabinet, the water saturation I spoke of caused water stains which survived the stripping process. The water probably caused tannins in the wood to migrate and to concentrate at the edges of the wetted areas. In addition, there are a few places that would indicate some other kind of contamination. Perhaps there was a letter or two sitting in the water as well. Ink dissolved by the water migrated down into the grain of the wood and left black stains that will need to be bleached out. My friend and finishing mentor, Dave, has told me that Oxalic Acid is the chemical of choice to remove water stains. I have a quantity of those crystals as well as the appropriate neutralizer to follow up that application with. So here’s a tip for you: Bleaching that is not properly neutralized afterwards will cause you heartache. It must be dealt with in order for the new finish to apply correctly. Don’t take shortcuts on this step! Dave knows that I have quite a bit of experience with another type of wood bleach. This one, a two-component bleach solution of Sodium Hydroxide and Hydrogen Peroxide is one that I have used a number of times when it was necessary for me to significantly alter the natural color of a project. Dave says, as does the literature with the crystals, that Oxalic Acid is best for removing water stains and some forms of ink stains. We’ll see. And I have both forms of bleach so that I can do what needs be done to rectify my problems. As I sit writing these words, I am prepared to go out and make up a solution of the Oxalic Acid. According to the manufacturer’s literature, Oxalic is a weaker form of bleach that is effective on water stains. It is yet to be seen what it will do to the black spots. If necessary, these may require the two-component bleach. Stay tuned because next week I am going to have before and after pictures of the bleaching process.